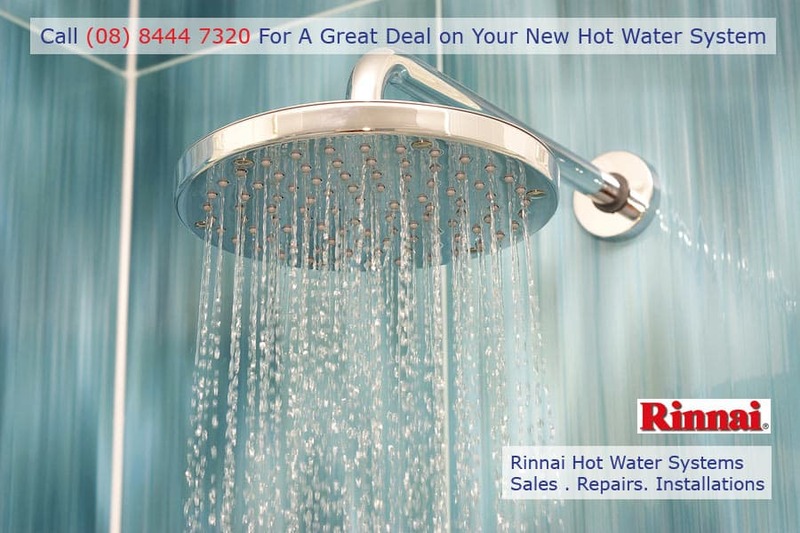 SA Hot water is your local specialist for Rinnai Hot water sales, repairs and great deals on Rinnai hot water systems. Call today on 8444 7320 for a great deal. 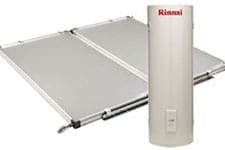 We sell the complete range of Rinnai Hot water systems. Rinnai continuous gas hot water systems are available from the 16 litre per minute unit right up to the 32 litres per minute. All Rinnai continuous flow systems are 5 star rated and manufactured to a high quality in Japan and come with extensive warranties. Rinnai Infinity Warranty (with 2 controllers) : 5 years parts and labour ,12 years heat exchanger. 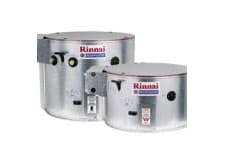 The Rinnai electric range are available in 5 and 10 year tank warranties either single heating element or dual elements for high daytime demands. Rinnai solar hot water systems are available as close coupled roof mounted tanks with either a vitreous enamel tank (Rinnai Sunmaster )and the stainless steel tank ( Rinnai Prestige solar hot water system ) or split systems again available in the vitreous enamel tank (Rinnai Sunmaster )and the stainless steel tank ( Rinnai Prestige solar hot water system ). The split system means the tank can be located independently of the solar panels if necessary. Rinnai solar hot water systems can be boosted either by gas or electricity on days when there is insufficient solar radiation to heat the water solely from the sun. The Rinnai hotflo heat pump comes in two different configerations , the compact version where the compressor is mounted to the tank or the split system where the compressor can be remotely mounted for freedom of installation. The roofmaster copper tanks are available in 250l,315,and 400 litre tank sizes depending on your household needs. 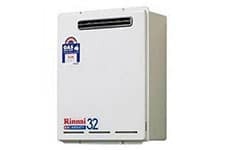 Rinnai Hot Water Best Price!